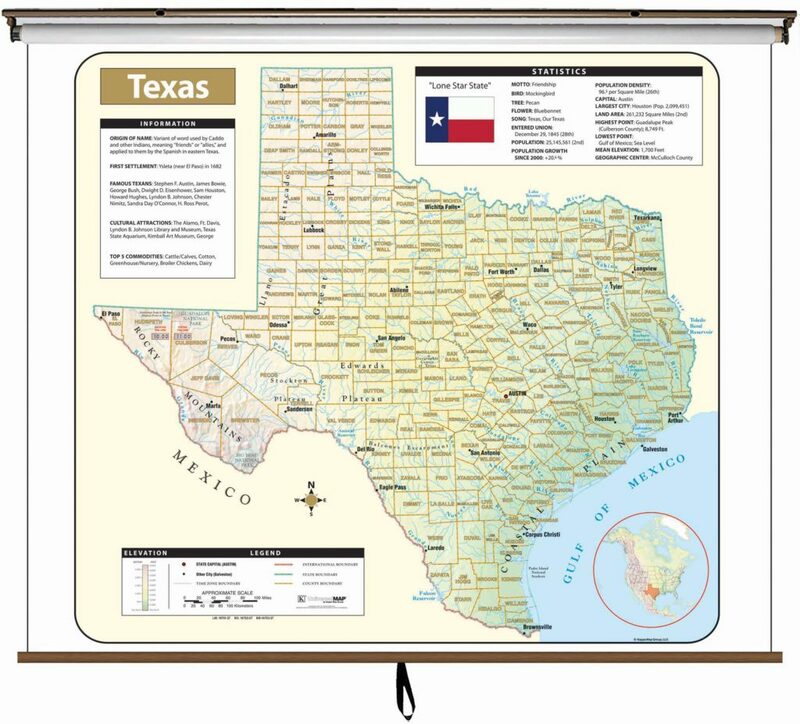 The Abilene, Texas Wall Map by Kappa Map Group measures 54″ by 57″ at a scale of 1″ = 2 miles. 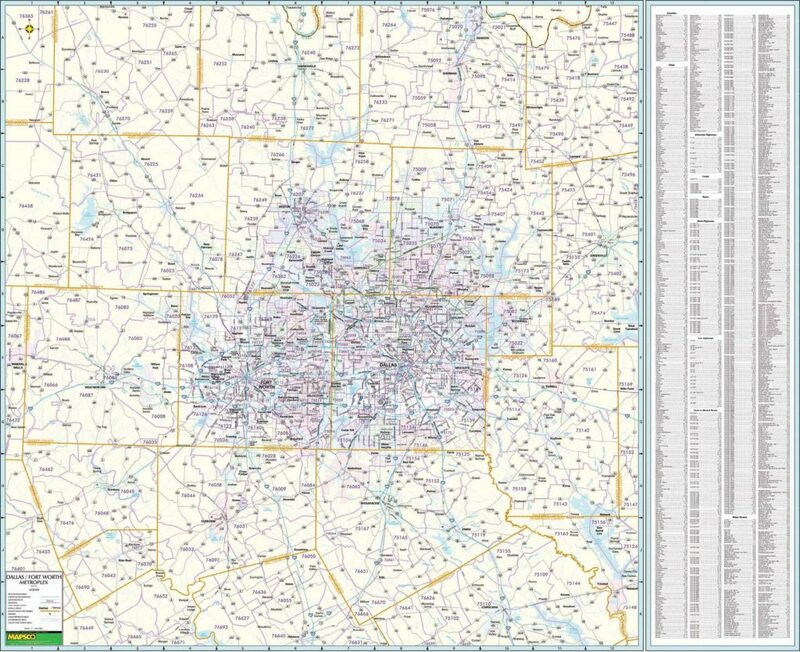 Shows all of all of Abilene in complete street detail, with a detailed inset of Taylor and southern portion of Jones Counties at a scale of 1″ = 2,100 feet. 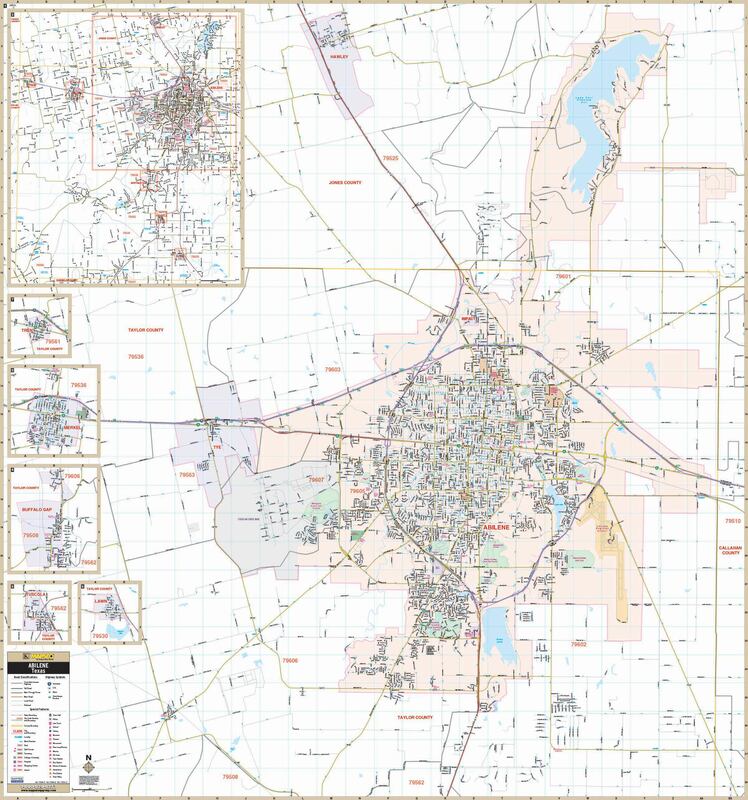 Main Map includes: All of Abilene, Dyess AFB, City of Tye and the City of Hawley in Jones Co. With enlarged insets of the Cities and Town’s of Trent, Merkel, Buffalo Gap, Tuscola and Lawn. Also includes Airports, All Streets & Highways, Block Numbers, Cemeteries, City Limits (color coded), Educational Institutions, Fire & Police Stations, Golf & Country Clubs, Government Buildings, Hospitals, Libraries, Points of Interest, Post Offices, Railroads, Recreational Parks, Water Features, and ZIP Codes & Boundaries.